RBC I Colorado Parks and Wildlife (CPW) celebrates Colorado’s acceptance into statehood with free access to all Colorado state parks on Monday. 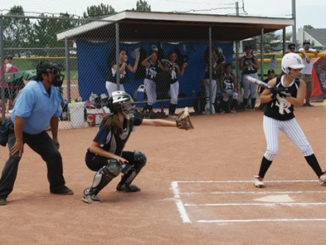 RANGELY I The journey to a state championship may have been cut short for the Colorado River Valley All-Stars this season, but its lessons have already carried the players beyond the scope of fast-pitch softball. MEEKER I On Tuesday, neighborhoods throughout Meeker are invited to join forces with thousands of communities nationwide to celebrate the 31st annual National Night Out (NNO) crime and drug prevention event. RBC I U.S. Sen. Mark Udall’s offices in Colorado are accepting internship applications from undergraduate students and recent graduates for the fall. RBC I Audrey Hogan of Rangely was one of more than 700 students who received their diplomas this spring from Colorado Mesa University in Grand Junction at the May commencement exercise at CMU. 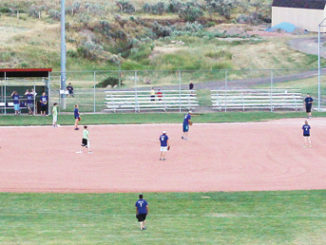 The 2014 Coed Softball League, sponsored by the ERBM Recreation and Park District, started Monday with seven teams, including one from Rangely. Games will be played Mondays, Tuesdays and Wednesdays at Paintbrush Park. 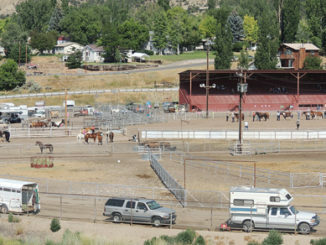 MEEKER I On Aug. 5, neighborhoods throughout Meeker are invited to join forces with thousands of communities nationwide for the 31st annual National Night Out (NNO) crime and drug prevention event. MEEKER I Two students from Meeker have been listed on the Dean’s List or Dean’s Honor Roll for the 2013-14 academic year at the University of Northern Colorado in Greeley.